Third Graders continue study of our Jewish Bible and Hebrew while learning in-depth about ancient and Modern Israel through archeology. 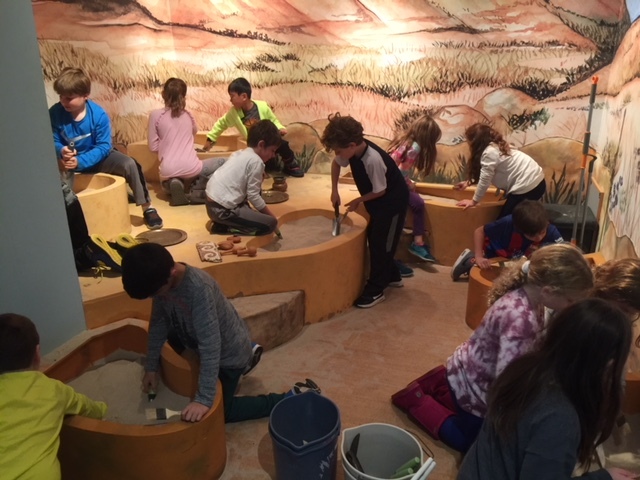 Special learning experiences include our very own Kol Ami archeological dig, a trip to The Jewish Museum, and the design and presentation of their own museum on archeology and ancient Israel. As we build and strengthen community, our Third Graders sleep-over at Kol Ami on a Friday night in the winter. Third graders begin our formal Hebrew learning and continue to build their Hebrew vocabulary while also learning the Alef Bet and beginning to read! 3rd Graders continue to participate in Hebrew learning through movement with Israeli Dance taught by Shmulik Gov Ari, our amazing Israeli dance instructor.